Domesday Book records a church and two priests in Orston, and in 1093 William II gave the church and emoluments to the Bishop of Lincoln. It is possible that the second priest had charge of an extra-parochial chapel which once stood in the churchyard at nearby Staunton, a rare example in Nottinghamshire. 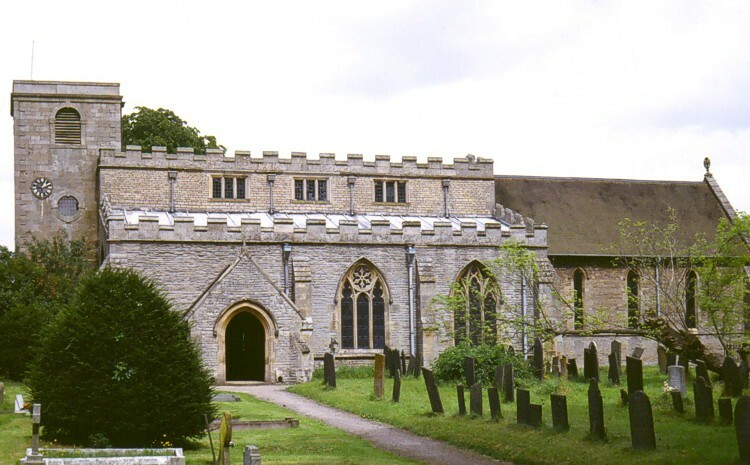 The church comprises a nave with north and south aisles, and south porch, chancel, and west tower. The core of the nave appears to be of the 13th Century, with aisles of similar dates, though showing progression in building from north to south. The chancel is of the same period with lancet windows throughout, including a triple east lancet. The fenestration of the aisles indicates alterations during the 14th and 15th Centuries, though with clear evidence of later restoration. A clerestory was added to the nave in the 15th Century. The west tower was rebuilt in 1766-7, and the south porch c1890. The interior roofs of the nave and north aisle are archaeologically important. The nave is typically 15th Century in form, and may retain traces of painting, whilst the north aisle has a roof that, stylistically in its west bays, appears to be of the 14th Century and which is one of the earliest church roofs in Nottinghamshire. There is evidence of a former rood loft in the form a of a blocked doorway at the east end of the north aisle. The font is octagonal, dated 1662, embellished with angels’ heads and foliate ornament in round-headed panels, and an inscription stating that it was given by Mrs Constantia Kerchevall on 7th February 1662. There are the Royal Arms of George III on the west wall, probably executed by the same artist as those at Bunny church. There are two medieval monuments, both probably of the 14th Century, one has diminutive angels and two small shields which indicate the arms of de Roos (Lords of Belvoir), though which could represent the arms of several local families. There are six bells hung in a cast-iron frame by Gillett and Johnston of 1923. Three bells are by the Gillets of that date, one is by George Oldfield I of 1621, one by his father Henry Oldfield II of 1599, and the last by William Noone of 1730. The Second bell is a memorial to the fallen of the Great War 1914-1918. At Easter 1635, the Archdeacon’s visitation reported that the seats were not uniform and needed repair. There were restorations in 1888-90, 1908, 1914, and 1923. Particular thanks to Jessica Key for research on this entry and to Geoff Buxton for the photographs.